They arrived very late at night on 12/23 - amid the falling snow, freezing rain and cold VT winter air. Oreo is nice and warm now, in one of our local foster homes, with a full belly, a soft bed and a family to love her. 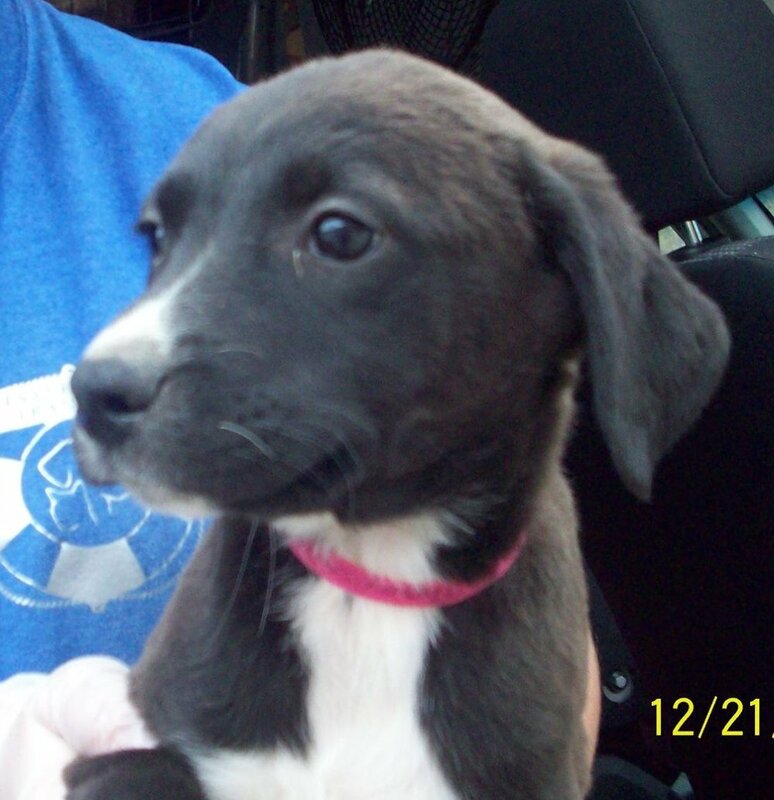 She will unwind for a few days then be ready to meet adopters. 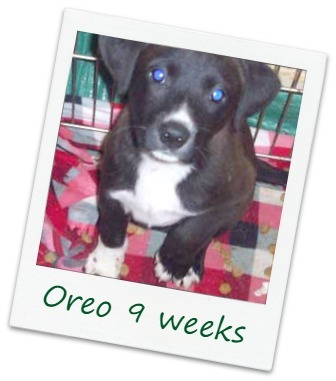 Oreo is estimated to be 9 weeks old and she weighs 10.4 lbs. She is up to date on her vaccines & has been regularly dewormed. She is working on her house breaking and crate training skills - and is at the perfect age to master them. We do not provide DNA testing which is the only way to know with certainty which breeds are included in Oreo's family tree. We see Lab and Shepherd - but this is only a guess. Based on her current size and rate of growth, we expect her to reach 40-50 pounds as an adult.